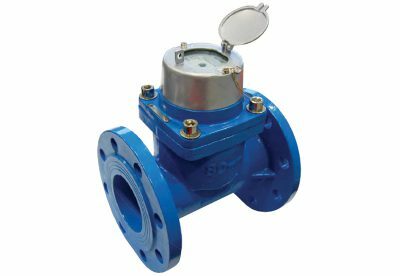 Tangential water meter for irrigation purposes, dry dial, magnetic transmission. Negligible head loss. Suitable for the measuring of dirty water (solid sediments).